Hi, I'm Gloria & I simply love designing web graphics (logos, social media headers, etc. ), free printables, desktop & mobile wallpapers, & cute ready-made graphics for your etsy shop (all Etsy banners/banner sets & social media graphics come w/installation instructions & support)! I also do some simple website design. Feel free to contact me for more info or check out my pricing page. Calling all digital scrapbookers! 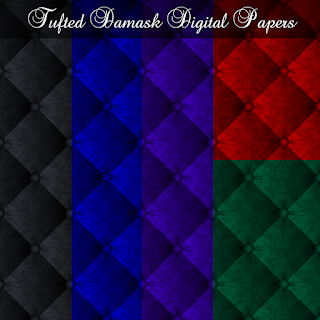 I'm going to start adding some digital scrapbooking graphics to my store & I'm starting with this pack of digital papers. How many times have you seen a packing list printable that only has one item on the list referring to toiletries/cosmetics? If you're a minimalist when it comes to makeup (& that's fine, to each their own) that might be sufficient for you, but what if you're a total glamor girl? 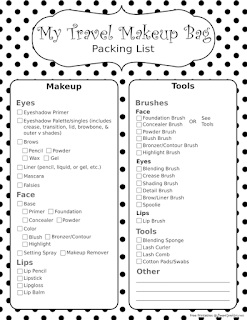 Enter the Travel Makeup Bag Packing List printable. This packing list includes everything I could possibly think of that you might want in your travel makeup bag, plus some space for you to write in extra items. Hey folks, I now have a free printables page on my site! Here you'll be able to download to do lists, grocery lists, packing lists, & more in various cute designs. I realize that many of us do this stuff on our smart phones nowadays (myself included), but there are still plenty of people out there who prefer paper. If that's you, than I hope you'll enjoy these. Just click on the image to download the pdf. 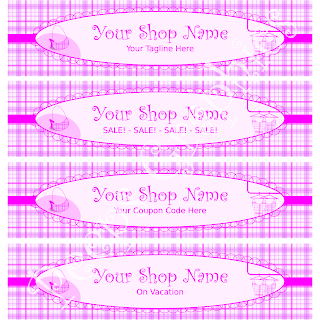 I have a new shop banner set on Etsy that includes 4 banners for your shop (1 w/slogan, 1 w/coupon code, 1 that says you're having a sale, & 1 that says you're on vacation). This set is geared toward those selling fashion items (e.g. handbags, apparel, shoes, etc.). 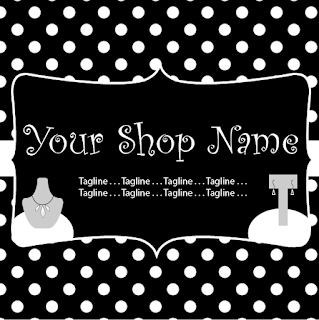 I have a new full graphics set on Etsy that includes banners for your shop, as well as social media graphics. This set is geared toward those selling jewelry. I created this wallpaper in Photoshop CS6 using Flaming Pear’s flexify. flood, & lunar cell plugins, as well as Photoshop’s built-in 3D rendering engine. Let me know what you think! :) To download, go here & scroll to the image you wish to download. Click on it, then click the download icon beneath the picture. To start with, I created the original fractal image in FractalWorks a long time ago. I then took that image & put it in Nodewerk again & used the seamless & inversion nodes, after which I dropped it into SeamlessMaker to make a seamless wrap on all 4 sides. To download, click here, then click the download button at the bottom center of the screen.